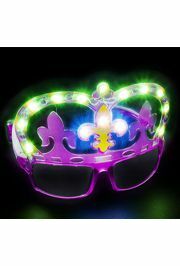 These sunglasses are made for Mardi Gras and other fun events. 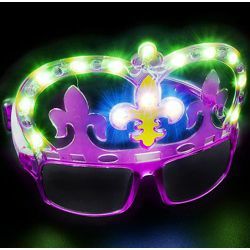 We have Mardi Gras sunglasses, jester sunglasses, fleur de lis sunglasses, St. Patrick's sunglasses, patriotic sunglasses, and many more novelty sunglasses. 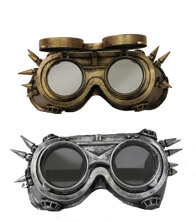 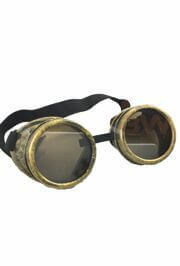 Gold/Silver industrial steampunk Glasses/Goggles with spikes. 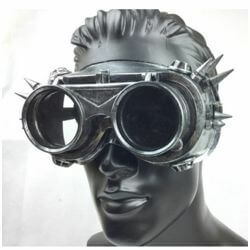 Features flip up lenses for two looks. 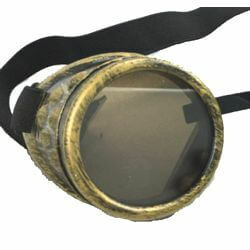 Has a black adjustable elastic band. 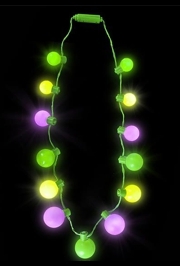 Perfect as a costume accessory. 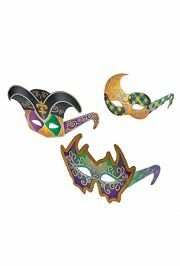 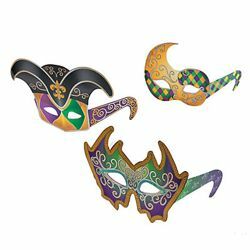 One dozen bag of assorted cardstock Mardi Gras mask glasses. 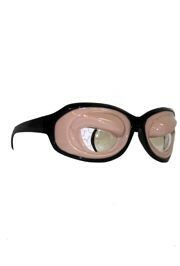 Plastic angry-eyed sunglasses in a black plastic frame. 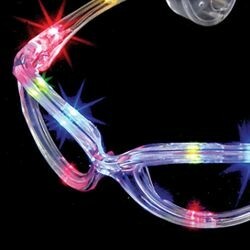 These flashing lights glasses will help you stand out at the next night parade! 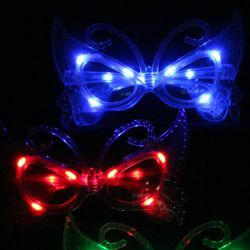 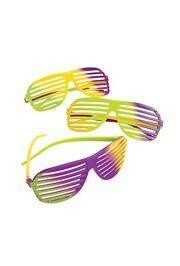 Wear these glasses to your next event or night parade to really stand out!